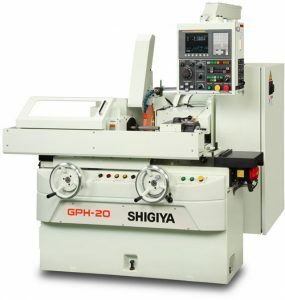 The GPH-20 versatile type CNC cylindrical grinder with handwheels offers higher precision and better efficiency for all your cylindrical grinding needs. It is simple to understand and easy to use even for difficult one-piece processing or onsite modifications. A wide selection of options provides plenty of freedom to configure the optimal grinding system. The interactive automatic programming system accelerates cycle times. GPH-20S offers hydrostatic box ways on x-axis and low vibration spindle motor for supreme accuracy.